Mirza Nahiyan (Year 1 CompE) is always up for a challenge. Her next one? University. 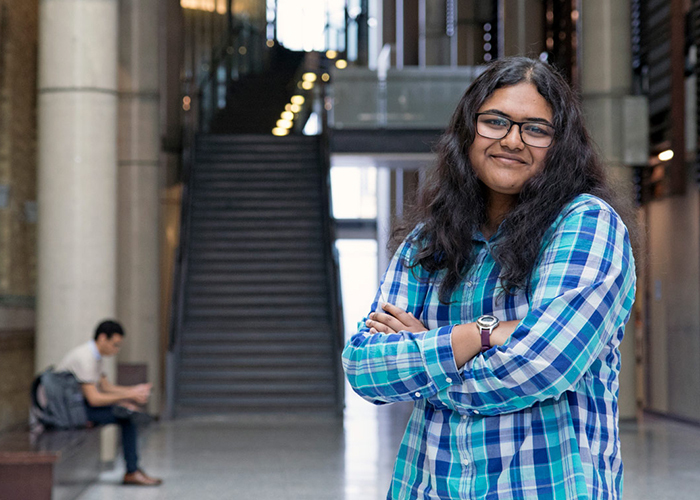 Nahiyan, who starts her studies in computer engineering this week, was one of seven students from the Toronto District School Board to receive a 99 per cent or higher average in their last year of high school. Her drive to succeed comes from a love of problem-solving and an unwavering commitment to her parents who left everything behind in Bangladesh to provide her with a good education. When Nahiyan was four years old, her parents moved to Canada, hoping to provide her and her older brother a brighter future. “Both of my parents don’t like to show us their burdens – but they work incredibly hard,” said Nahiyan, who graduated from Cedarbrae CI high school with a 99 per cent average. Nahiyan, in return, is committed to ensuring they made the right decision by becoming a star student. “I knew that was the one thing I had to get right,” she said. In high school, Nahiyan was up for any challenge that came her way. In Grade 9, she attended a workshop where she learned how to build apps. It got her thinking about computer engineering. “I learned I really loved it and wanted to do something like that,” Nahiyan said. From there, she continued taking computer science courses, going above and beyond what was expected of her to impress her teachers – once making an elaborate game where a monkey has to collect bananas, protecting them from gorillas. “[My teacher] didn’t expect anything like that. It was supposed to be a simple game,” she said. Her love of problem-solving and creating follows Nahiyan home, where she says she’s the head of technology in her household. She also loves to draw while listening to music, which she says keeps her productive even when she’s bored. U of T Engineering will be just another exciting challenge for Nahiyan – though she admits she’s a bit nervous. Nahiyan says she’s looking forward to exploring all the resources the Faculty has to offer, including the ECF computer labs. “I know I have endless opportunities here,” she said. 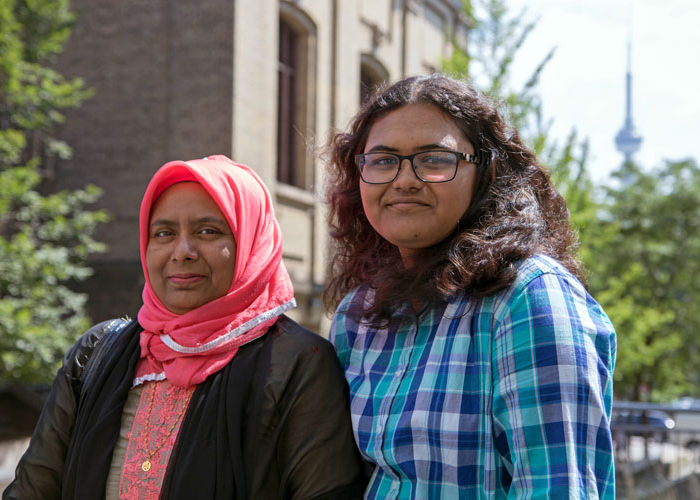 On her university adventure, Nahiyan knows her family will be with her every step of the way. The emotional reaction her parents had to her receiving top marks in high school was every indication that she’s on the right path. “They both cried,” she said. Nahiyan’s mom, Nasrin Suldana, says she’ll miss her daughter going to school so close to home but is looking forward to seeing all that she can accomplish. This article originally appeared in U of T Engineering News.